An unexpected miracle or a risky dream? She never expected to get pregnant so soon after a health scare, and her work as a nurse makes her all too aware of the dangers. Will sharing her secret with her adoring husband create a holiday disaster— or a Christmas surprise? Betsy Reed and her husband, Tommy, have a marriage that other people envy—romantic, passionate, and filled with happiness. The news Betsy brings home from her doctor right before Christmas could destroy all that. Against all odds, just a few months after surgery to remove cysts in her uterus, she’s pregnant. She’s familiar with the dangers of pregnancy—her beloved sister-in-law died of complications. As Betsy and Tommy head for a Christmas in the Blue Ridge mountains, he begins to realize she’s hiding something from him. Although their nights are filled with desire, her holiday joy seems forced. He fears the worst. New York Times bestselling romance author Janelle Taylor puts her magic to work in this Christmas story about love, courage, faith, and trust. 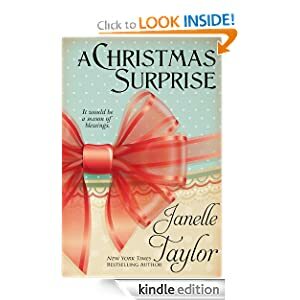 A Christmas Surprise by Janelle Taylor is the story of a married couple, Betsy and Tommy, and they are keeping secrets from one another. Betsy and Tommy are spending their first Christmas away from their respective families and are nervous and scared to face the elephant in the room. 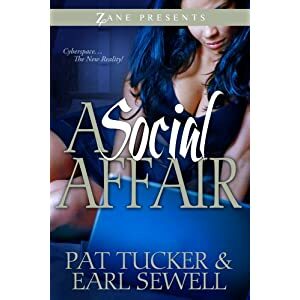 A Christmas Surprise has elements of romance because the love between the couple is apparent but after reading this book I was not really in the Christmas spirit. The premise of this book is a solid one but it is my opinion that the author should have made it into a full length book because it seemed rushed and not fully developed. Disclaimer: This book was provided by the publisher for review purposes.